I picked up a great deal on a bunch of tubes of this cement and so I'm passing the saving on to you. 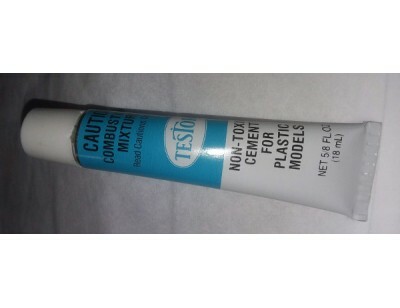 This cement (glue) was designed for plastic models but it works equally well on wood projects and balsa wood projects. Someone told me it even works on glass, like marbles, but I haven't personally tried it yet. Each tube is 5/8 oz (18mL). If you need a good glue for modeling, here's your chance to save big!